the adventures of tartanscot™: "Casting a Quiet Glow . . . "
We've made it through yet another work week - and our newest "Love Letter" brings us to the "g." I've always felt that one of the most important aspects of a beautiful home is your ability to layer lighting throughout the space. 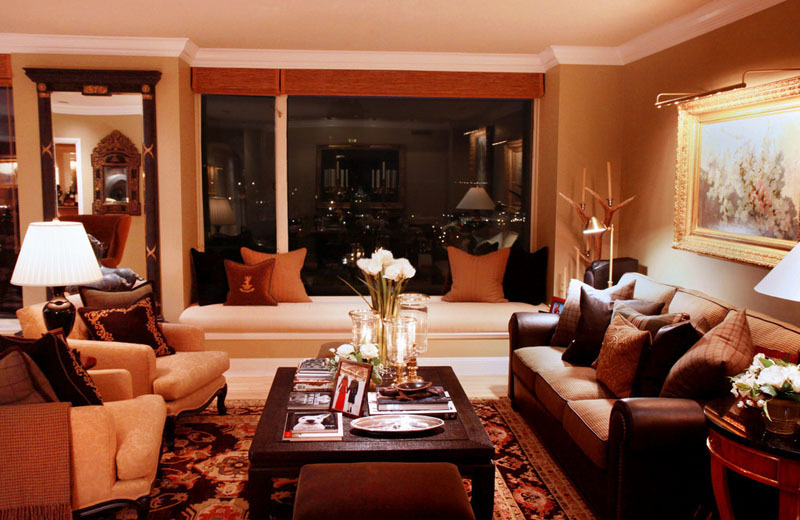 A good balance of overhead fixtures and table lighting can bring a beautiful glow to your home. Oh, that and some candlelight. But, there's another layer of lighting that you can always add to your home . 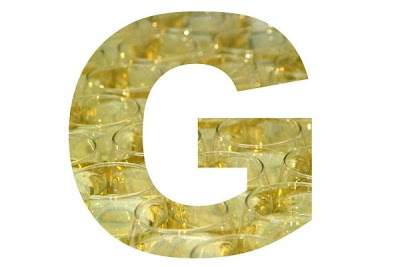 . .
"G" is for . . .
Now, I love gallery lighting. I love their ability to highlight specific pieces - bringing one's focus directly onto the artwork. 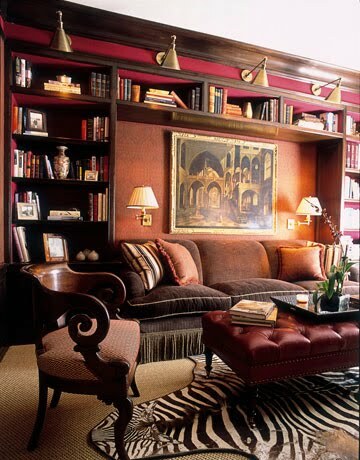 But, outside of this more obvious use, there is little more glamorous than a room in the evening - aglow with only the gallery lights illumined. - and maybe a little candlelight as well. Lighting perfection. And don't think that they can only be used in more traditional spaces. 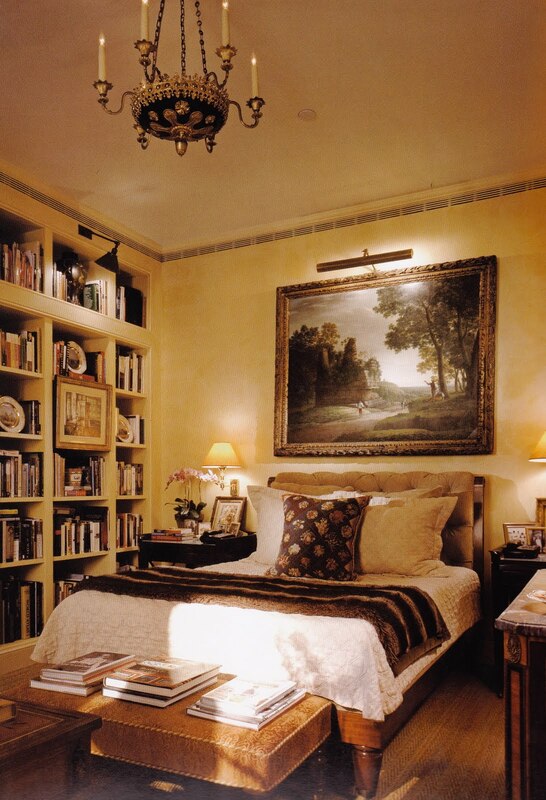 Jamie Drake easily adds gallery lights to the artwork in this remarkable, much more contemporary bedroom. 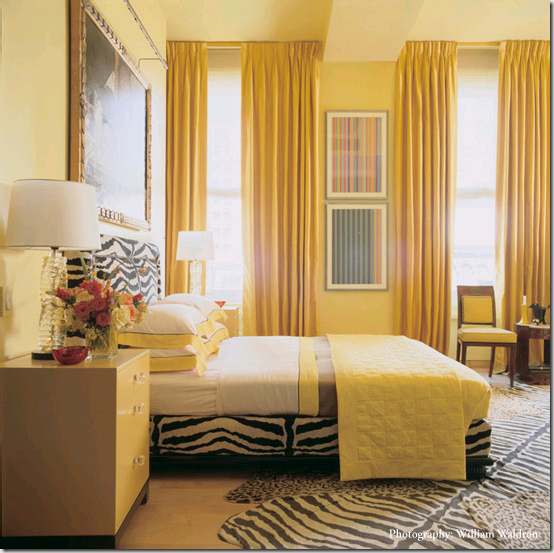 From one of the projects here in San Francisco - in our own portfolio. Not only are they great for artwork - I also love seeing (and using) them for lighting a library as well. Casting a quiet, beautiful glow over the collection of books and artifacts. A perfect library. Just bathed in glorious lighting. And one of the images of the study in my own home. I think it's wise to keep all the gallery lights (as well as all of your lighting) on dimmer switches. It's important to be able to 'manage' the lighting at the house. That bedroom you did is GORGEOUS! OMG! I'm in awe, and I'm starting to change mine right now! Aw - thanks Artie. It WAS a great project to be involved with - and a truly fantastic client. I have a question for you - are all of these gallery lights hard wired or do you ever use battery operated ones. Sometimes it's hard to tie into an outlet with the placement of artwork. What mfr's lights do you like the best? Beautiful images, and your study is drop dead perfect!! As far as resources - Visual Comfort has a great selection (and great prices). The only draw-back is that they seem to frequently be out of stock . . . so you might to a wait. Can I come to your house for dinner? I'm bound to look beautiful under that lighting! Love them too! Have been so out of touch. Glad to be back and inspired. Hope you are well. Hey Gwen - hope you've had an amazing summer! Lighting makes such a huge difference in great ambience.!! The dimmers....realy important as well. Well worth the time and cost! Your designs are absolutely gorgeous. 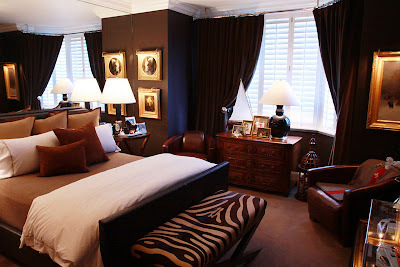 I love the bedroom with the dark brown walls. 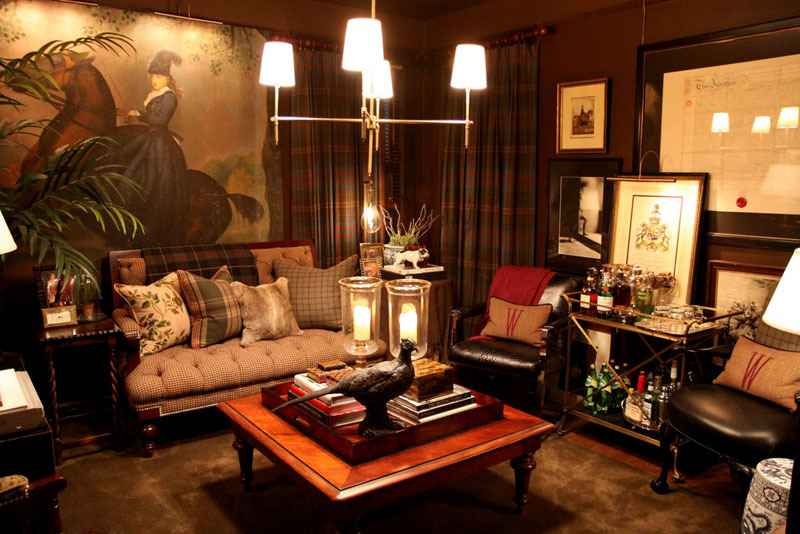 And I've admired your living room with the plaid drapes forever. I too use gallery lighting above my old oils. I am stickler for lighting anyway. Hate can lights. Love romantic lighting like sconces, etc. in a room. Beautiful post! 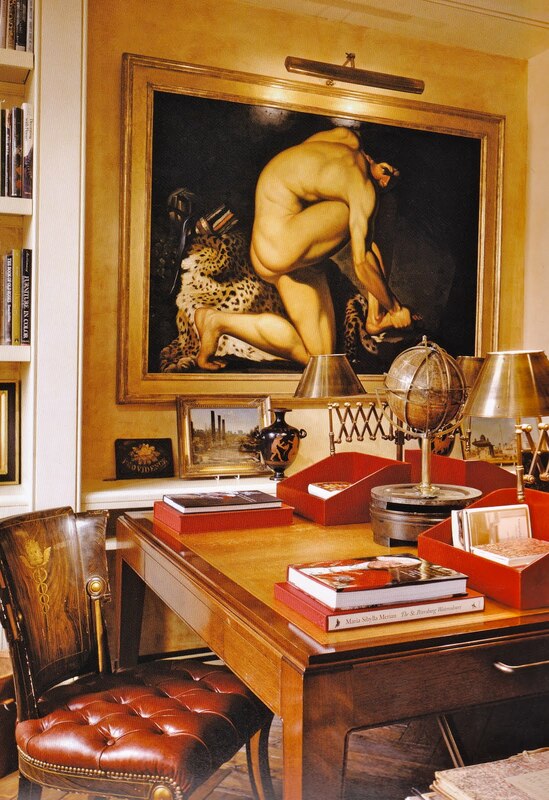 Ok, move over, I want to set up residence in your study. Could there be a warmer, cozier, drink tea-or scotch-and stay-a-while feeling from that room? I think not!